Making sure UNT has the best possible environment for faculty is an important goal of Provost Jennifer Cowley. Full-time faculty are urged to take a few moments to complete the Collaborative on Academic Careers in Higher Education, COACHE, survey. You can find the link to the survey in emails you have received from COACHE. A robust response rate is essential to the design of new initiatives and policies that make ours an engaged and productive faculty. Please contact Michael McPherson if you have questions. Do you currently have a student (or students) conducting research or creative projects under your supervision? Why not have them offer a poster presentation or paper at UNT Scholars Day, on April 3, 2018, in the Ballroom of the Student Union? 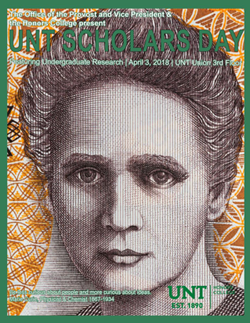 The Office of the Provost and Vice President for Academic Affairs, the Office of Research and Economic Development, and the Honors College invite undergraduates from all of UNT’s colleges and schools to participate in the 15th Annual University Scholars Day to be held on April 3, 2018. March 20, 2018: Application for papers or fine arts performances are due. March 20, 2018: Application for posters are due. March 23, 2018: Students will be notified of acceptance. We encourage faculty to work with a student (or two) to develop a 200-word proposal by March 31, 2018. If the proposal is funded ($500 for the student, to be awarded after Scholars Day, 2019), then the student and professor will work throughout fall 2018 and spring 2019 on a research or creative project for which the student will offer either a poster, paper, or performance in April 2019. The Office for Faculty Success strongly encourages faculty members to provide undergraduates with guided-research possibilities, as those encourage the creation of new knowledge, novel perspectives, and postgraduate options, including funded graduate-school admission, and nationally (or internationally) competitive fellowships and scholarships. For more information, please consult the Honors College. Be sure to sign in at the top of any page that requires you to do so. Kindly address questions to james.duban@unt.edu. Our March Teaching Excellence Spotlight awardee is Bethany Blackstone, Ph.D., associate professor in the Department of Political Science. Dr. Blackstone’s teaching practice is focused on helping students learn to evaluate information, formulate evidence-based arguments, and use research to answer questions and communicate ideas. She is committed to supporting students both in and out of the classroom and has served as Faculty in Residence at Rawlins Hall for the past five semesters. Read more online about Dr. Blackstone and her approach to teaching online. The Teaching Excellence Spotlight is a monthly opportunity to recognize teaching excellence on our campus. Students, staff, and faculty can nominate UNT instructors of all ranks and disciplines for their contributions to student learning and teaching. You can nominate your colleagues, or yourself, using the nomination form. Learn about the Fulbright Scholar and Specialist programs and how to apply for a Fulbright grant to receive funding for research and/or teaching or serving as an expert consultant at an institution abroad. March 23, 2108, at 2 p.m. in Marquis Hall, Room 107. Join the Office for Faculty Success and UNT International to learn how you can get involved with campus internationalization, international visitors, J-1 Scholars, study abroad curriculum and integration, global funding opportunities and more. April 5, 2018, from 2-4 p.m. in Physics, Room 102. The Study Abroad Office will be hosting a “Designing a New Faculty Led Program” workshop on March 26, 2108, 4-5 p.m. in Marquis Hall, Room 215. Faculty may register online. UNT International is pleased to announce that the request for proposals for the 2018-2019 Charn Uswachoke International Development Fund is now open. The proposal submission deadline is April 30. The RFP and additional information is available here. Applicants are encouraged to review the 2018-2019 Charn Fund RFP closely as it differs from past RFPs. Please direct any inquiries to Amanda White Bennett, Amanda.White@unt.edu, or 940-369-5292. The Global Engagement Grant provides modest intramural grants to UNT faculty for the development of new global programs and initiatives. Proposals are accepted on a rolling basis as funding remains available until June 15, 2018. The RFP and additional information is available online. 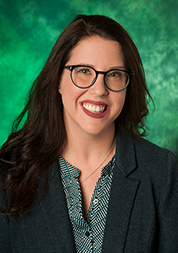 Please direct any inquiries to Amanda White Bennett at Amanda.White@unt.edu or 940-369-5292. Before becoming an academic, Associate Professor Phillip Park had a career as a registered architect in his native Republic of Korea. One of his projects involved helping design a hospital. This project would eventually inspire his research as a faculty member. Upon completing his doctorate in Architecture specializing in the Health Systems & Design at Texas A&M University in 2007, he joined UNT’s Department of Design. Broadly speaking, Dr. Park’s research involves exploring the physiological and psychological effects of color in the design of patient rooms in pediatric hospital settings. Traditionally associated with cleanliness, white has long been the most commonly-encountered color in healthcare settings. However, Dr. Park’s research has found that across cultural groups white is one of the least preferred colors. At present, Dr. Park is running a pilot study aimed at examining whether or not color affects stress levels. This pilot study involves students in after-school programs, but Dr. Park hopes that it will lead to approval from a hospital’s Institutional Review Board to extend the study to pediatric patients. He also hopes to attract external support for this and future projects. 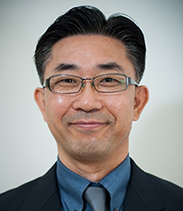 Beyond his scholarship, Dr. Park enjoys his role as an educator, and has been the Interior Design Undergraduate Program Coordinator of his department. Helen Potts is Senior Lecturer in the Sociology Department. 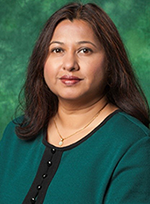 She earned her doctorate in 2007 from UNT, and after a stint on the faculty of UNT-Dallas she returned to our campus in 2011. She is passionate about students and the success of her department, and currently serves as her department’s Director of Undergraduate programs and as Undergraduate Advisor. Last year, she served as interim associate chair as well as director of Graduate Programs, and was involved with the time-consuming tasks around helping her department through the SACS accreditation process. She enjoys working in a department open to new ideas. For example, several years ago she noticed that quite a few students who took her Introduction to Sociology course became excited about sociology and decided to major in it. However, many of the best decided to not pursue graduate studies because the additional time commitment was too daunting. This led her to create a five-year BS plus MA/MS degree option, which begins this fall. Congratulations to Elliot Dubin of Hospitality and Tourism Management, winner of January's giveaway! 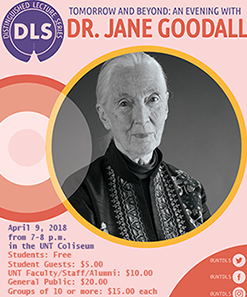 We’re excited that Dr. Jane Goodall will be speaking on our campus on April 9, 2018 as part of the UNT Distinguished Lecture Series. This month’s newsletter drawing will be 2 tickets to hear Dr. Goodall’s remarks. UNT faculty members who register by March 31, 2018 will be entered into this drawing. Please register online.